Expires 10 April 2012. Limit 1 per 2 people. May buy multiple as gifts. Booking not required, present printed Groupon to redeem. Valid Mon, Wed, Fri and Sat from 6.30pm. First race at 7.30pm. Valid at: Coral Romford Greyhound Stadium, London Road, Romford (RM7 9DU). Must be aged 18 or older with valid ID. Original value based on most expensive options. See the rules that apply to all deals. Please note you can retrieve your voucher by logging into your account via the blue bar at the top of the website. 62,626 people like Groupon London. © 2012 Groupon, Inc. All Rights Reserved. London Enter your e-mail address Receive deals for London: Choose Your City: Re g is t e r now an d ge t £6 for ev e ry re c omme n da t i on! This is a good deal especially on Friday or Saturday as they don't do free entry vouchers for those days. I usually join on the Romford dogs website (new e-mail every time) and get free admission/race cards on Monday or Wednesday, The kids get in free, we take a picnic hamper, sit near the window and do a £1 bet on each race. it's one of the kids favourite family nights out. Cruel and unnecessary spectator 'sport'. Thousands of dogs abandoned / killed / dumped in shelters after they can race competitively no more. What uninformed drivel from those that say its cruel. The sport has made enormous strides in the welfare aspect and if you think people spend serious money on these dogs to treat them cruelly you are even more deluded than your ill informed comments suggest. These dogs are bred to race and they absolutely love to compete,as does any finely tuned athlete. as crissy says,its a family night out, something different from the pictures and pizza which is about your limit if you and the kids like to go out on a fri/sat evening. What uninformed drivel from those that say its cruel. The sport has made … What uninformed drivel from those that say its cruel. The sport has made enormous strides in the welfare aspect and if you think people spend serious money on these dogs to treat them cruelly you are even more deluded than your ill informed comments suggest.These dogs are bred to race and they absolutely love to compete,as does any finely tuned athlete. No, you are clearly uninformed. Everything I stated above is true - hell, maybe some maybe treated alright whilst they are racing well, but what about afterwards? Educate yourself rather than turning a blind eye just because you WANT to believe that the sport you support is doing no harm. The greyhound racing industry produces, at a minimum, a ‘surplus’ of 13, … The greyhound racing industry produces, at a minimum, a ‘surplus’ of 13,500 dogs in England and Wales every year. Of these at least 4,000 dogs go missing every year, invariably killed, some by vets, others dispatched with a bullet to the head or dropped into a flooded quarry with a brick around the neck. Horrific cruelty cases have been reported.• Part of the surplus is 2,500 UK bred young dogs who fail to make the grade as racers. The fate of only 20% of these animals is recorded. The other ‘disappeared’ 80% effectively vanish. And only 25% of racing dogs are UK bred - what happens to the majority bred abroad is even more worrying.• The rest of the surplus is the 11,000 greyhounds that are retired from racing every year. Most are untraceable. Only 3,500 per year are known to be rehomed by greyhound welfare groups. It is not uncommon for unwanted dogs to be destroyed or abandoned with their ears cut off to prevent breeder and owner identification from their ear tattoos.• During their ‘career’, welfare provision is insufficient. New regulations introduced by the government in 2010 will do little to improve the lives of greyhounds. By passing these regulation the government ignored the recommendations of hundreds of animal welfare charities and concerned individuals.• Dogs have very short careers, sometimes less than a year, due to the repetitive stress injuries caused by racing on small, tight cornered tracks. They do not just enjoy a happy life of racing as most people think. They are kept in kennels, lack the social contact all dogs need and are pushed to their physical limits, soon to be unwanted and facing an uncertain future.• Less than a penny of every pound wagered on greyhounds is spent on welfare and retirement provision. This is far too little to provide for all the dogs and their needs. Wat bout the horses then ? Is it similar as well.?? Hang on she'll just google it and take what ever comes back as gospel,rather than go and actually experience the modern,welfare driven sport that greyhound racing has become and strives constantly to maintain. Hmmm. That sounds deep...just curious...Wat bout the horses then ? Is it … Hmmm. That sounds deep...just curious...Wat bout the horses then ? Is it similar as well.??
? You mean that "experiencing the (insert non-backed-up words to your liking here) sport" as it plays out on the track on a racing day is somehow superior to the dozens of objective statistics-filled behind the scene reports made by credible organisations such as the BBC, the Associate Parliamentary Group for Animal Welfare, veterinary reports and animal rescue centre records? I know you're trying to hide your head in the sand and maintain ignorance, but sheesh! Dharamm - will send you a pm. To dharamm, obviously you have no hands on experiences with greyhounds, because if you did, instead of googling information you would find that they are the most sociable dog on the planet, so laid back, loving, etc., to add whilst I type this message I am surrounded by my 2year old, 3 year old, a brother and sister aged 8 years and a 13 1/2 year old all my ex racers. Well I'm sorry but the BBC figures are totally wrong . Fewer than 3,000 greyhounds are bred in the uk each year . When the numbers have been looked into it was found that 78% raced on licenced tracks , a percentage raced on independent tracks so the percentage of those that did not race is small . As the pups are registered at or soon after birth sadly some will die after they have been registered , even human babies die occasionally with all the resources of the NHS . A few will not be suitable for racing , these are usually the easiest to rehome as they are often good with cats . The numbers retiring from racing every year is estimated at 8 to 9,000 . The RGT alone will rehome 4,500 of these . The best racers will be retained for breeding , others will go home with their owners when they finish racing . A large number will be rehomed to friends or relatives of the owners or trainers , with syndicates there are often a large group of people involved and the greyhounds future home is established even before it starts racing . A great many owners and trainers also rehome their ex racers privately by advertising locally and keep track of how their old dogs are getting on . When proper research has been done to discover where ex racers are the vast majority have been found to be living very happily in pet homes . Sadly some are put to sleep , a top racer was recently put to sleep at the age of just 3 years old . It was found to have cancer and attempts to treat it proved unsuccessful so it was put to sleep to prevent further sufffering . I have not heard of anyone killing a greyhound and cutting its ears off for many years . The last piece of scum that tried that was easily traced and banned for life from the industry . With the development of DNA testing it is not difficult to trace the dogs breeding and a record of all the dogs markings are made when it is first registered and it is micro chipped at the same time . As for dogs kept in kennels lacking social contact , they get far more than most pet dogs . They are never taken away from their litter mates before 12 weeks and even then if they are they will be reared in with a group of others of the same age . When they go into a racing kennel they will often have a kennel mate and they will get plenty of time out at excercise with other dogs to play with . As for the money spent of wefare , 20% , ie 1/5 of the income to the industry is spent on werfare and retired greyhounds . Compared with the horse racing industry spending 0.3% of its income on retired racehorses . They are lovely dogs and those who are in the industry are in it because they love their dogs and the welfare of the greyhounds , racing or retired is their priority . 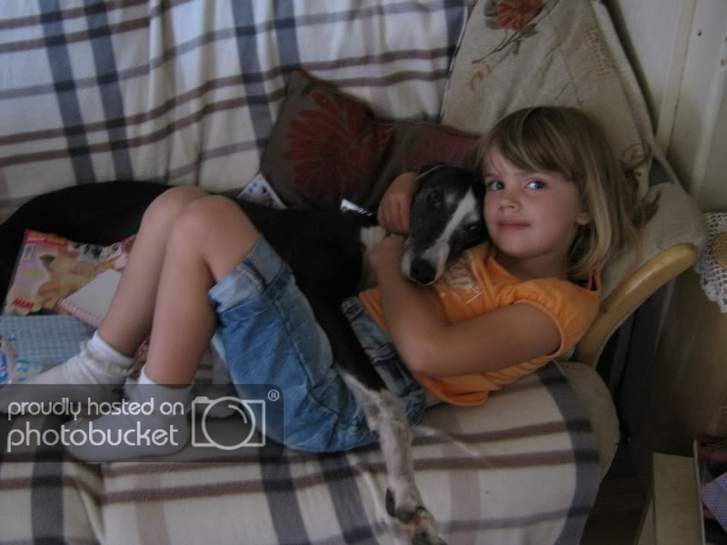 and before anyone says anything, i do own a rescued retired greyhound myself (and had another 2 as a child)! What a fantastic post oakgrove,and from an actual practitioner in the sport,not someone with of so little importance in their own life that they have to impose their negative,biased and practically ludicrous opinions upon others with info they have "googled" or "heard about". What do you mean "joined" the group,she was the looney,meddlesome,left wing,hand wringer that started it! I too raced greyhounds. Time after time after racing my dog's, medical care was needed because of injuries picked up whilst racing. I just chucked it all in and kept all of my hounds until they died their natural death. I then took in others who had been abandoned to their fate by the greyhound racing industry, I have had many. The whole debacle of greyhound racing is inherently cruel. Run by people who can only see profit but turn a blind eye to all the suffering, pain and fear these poor dogs have to endure in the cause of peoples pleasure.